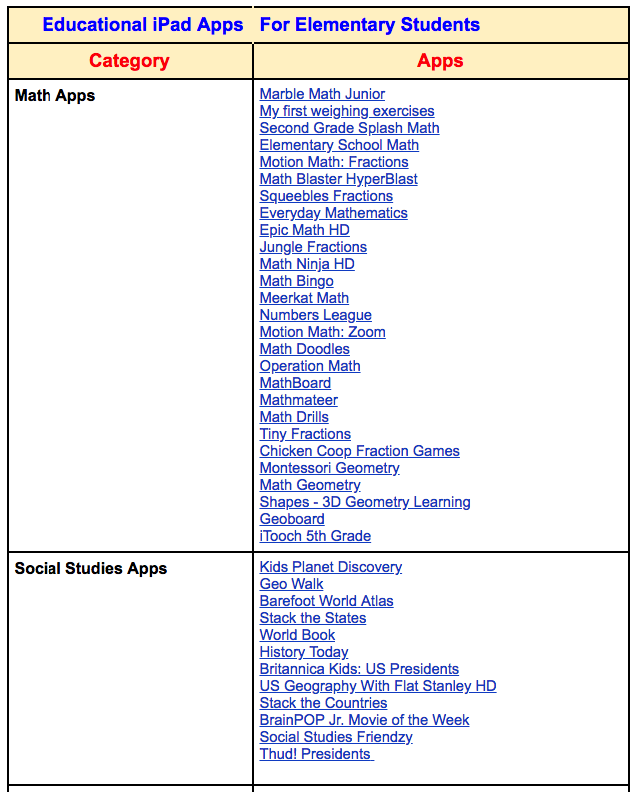 For those of you asking about educational iPad apps to use with elementary students, here is a chart we published a few months ago featuring some good options to start with. 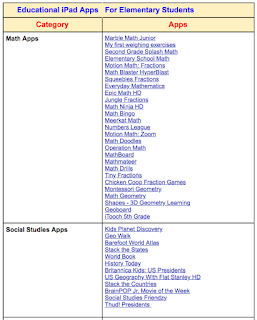 We have arranged the apps into 10 main categories: math apps, social studies apps, digital storytelling apps, art apps, music apps, apps for learning grammar, apps for learning spelling, writing apps, apps for learning coding, and apps for learning science. Have a look and share with us if you have other suggestions to add to the list. Please report to us if there is any broken links.